A protest rally in Tunis in support of free expression. Credit: Lassad Ben Achour/IPS. TUNIS, Feb 28 2013 (IPS) - The extent to which Tunisians are able to express themselves freely is an ever-changing phenomenon. While the country is still in the grips of turmoil after the recent killing of left-wing politician Chokri Belaid, which sparked some of the largest protests since the initial revolution in 2011 that toppled Zine El Abidine Ben Ali, the airing of dissent has become second nature for many. This positive development notwithstanding, it is still sometimes a rough transition. A number of incidents have been recorded where journalists have had their camera stolen or even been beaten up. Some journalists have also received death threats for being too outspoken. Tawfik Ben Brick, a well-known public figure, has faced repeated harassment over his journal ‘Dhed Assolta’ (‘Against the Power’). He had been accused of assault on a woman during the Ben Ali era and has more recently had issues of his magazine confiscated in bulk by the police. According to Hichem Snoussi from the international NGO Article 19, which is dedicated to safeguarding freedom of expression, Tunisian media is free, yet these freedoms do not have full legal bearing in Tunisian law. A number of decrees are currently being drafted and debated, and are intended to provide legal structures for the media and for access to information. Article 19 has also provided a thorough legal analysis of the draft constitution, and is putting pressure on the National Constituent Assembly (ANC) to go further than the initial draft to make sure that international standards are considered. Much of the national debate is on the Internet. In a country where roughly one out of three persons has a Facebook account, the realm of social media is exploited to the hilt. According to Zabaar, something akin to an Internet militia is also spreading rumours and hate speech, especially on Facebook. The range of new media is quite fully explored in Tunisia. Adherents of data journalism can plug into fhimt.com, which takes an approach to interpreting events that is based on graphical data analysis and comparison charts. At the same time, those concerned with privacy and surveillance issues attend meetings dedicated to cryptography, and the ‘hacktivist’ group Anonymous is also alive and well in Tunisia. Or consider the Tunisian version of Telecomix, which describes itself as a ” sociocyphernetic telecommunist cluster of internet and data loving bots and people” and sees its role as one of defending the free flow of information. 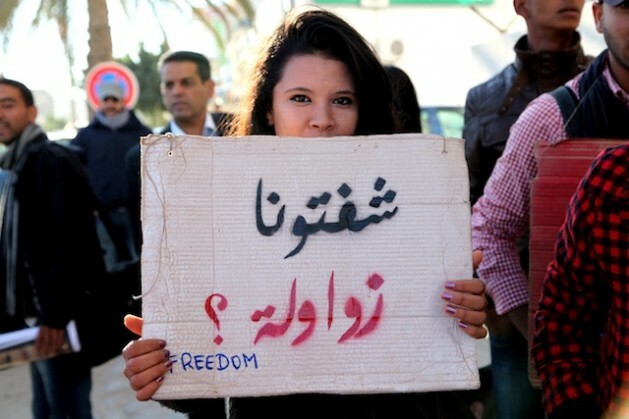 While much work in this area has clearly still to be done, Zabaar sees the current stage of Tunisia’s transition towards a free society as one of growing up and joining the ranks of other functioning, albeit flawed democracies.